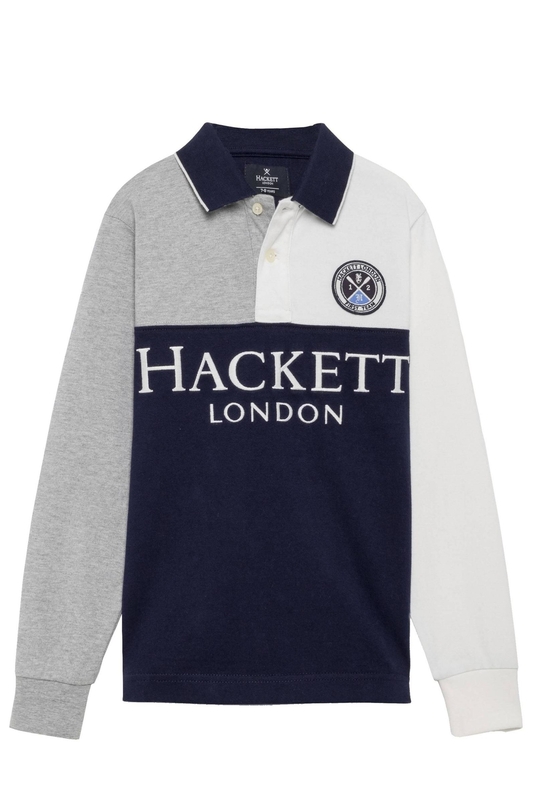 Super comfy grey, navy and off-white rugby top from Hackett. 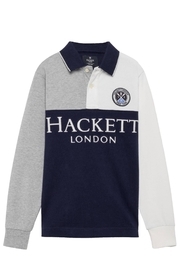 There are three buttons that fasten at the top of the centre front of the shirt. Can be worn as a shirt or under a jacket.